While you may hear mostly about efforts to find the cure for cancer, discovering the causes remains one of the most critical steps of the process. Since there are many of types of cancer, finding the cause for each one is quite the task, but the good news is that cancer research has been able to shed some light on what factors contribute to an increased risk of developing cancer. Among the many links and contributing factors to cancer, one that stands out is its connection to diabetes. Research has shown that those diagnosed with diabetes are more likely to develop cancer compared to those who don’t have diabetes. To help further illuminate the details on why these two conditions are linked in this way, our team here at Southeast Radiation Oncology Center have put together this guide on the relationship on diabetes and cancer, while adding in some helpful tips on how you can manage your own cancer risk if you’re diagnosed with diabetes. 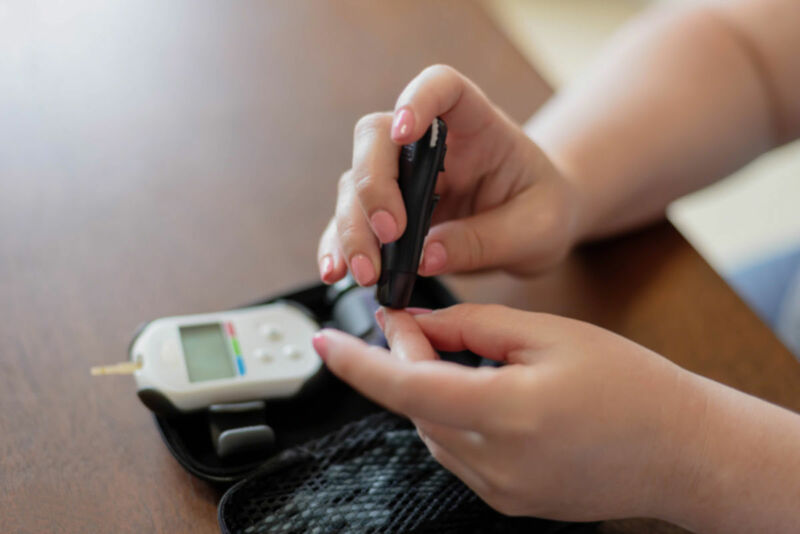 The connection between cancer and diabetes is mainly focused on Type 2 because there is stronger evidence to support the connection, in addition to the lack of sufficient cancer studies conducted investigating the link to Type 1. Below are the two main areas that link cancer and Type 2 diabetes. Some of the most common factors that increase the chance of developing Type 2 diabetes include being overweight, having an unhealthy or unbalanced diet, a lack of exercise, and the use of tobacco products like cigarettes or cigars. It just so happens that research has shown that all of these factors also increase the risk of developing cancer. While this does not imply that diabetes is a direct cause for cancer, there does appear to be a strong correlation between the two. For those with Type 2 diabetes, their bodies become resistant to insulin, and as a result, the body kicks insulin production into high gear. Cancer research has shown that these higher insulin levels put diabetics at a higher risk of developing cancer. Since cancer risk is increased based on the severity of diabetic symptoms such as insulin levels and other diabetes risk factors, the best thing for those suffering from diabetes to do is manage their condition as best they can by adopting a healthier lifestyle. Things like exercising regularly, eating a balanced diet, ditching the smoking habit, and keeping weight at a healthy level are all ways that you can naturally decrease your risk of cancer. It is also recommended that you work closely with your doctor, scheduling regular cancer screenings so you can identify any initial signs and catch developing cancer early on. For any questions about the link between diabetes and cancer, or about what you can do to reduce your risk of developing cancer, contact the cancer care experts of Southeast Radiation Oncology Center. We provide comprehensive care for the patients and families who are battling against cancer, from professional radiation therapy to information and support to help them stay strong. Whether you connect with a member of our team by reaching out to us, or if you choose to explore our website, you can find all the information you need about cancer conditions, treatments, and much more! We look forward to supporting you just as we’ve supported patients from all over the world, right here in our local cancer center in Juneau, AK.